I decided to watch this short Korean drama because of the lead actress Lee Yoo Young, who had given an absolutely marvelous performance as the grown daughter in 2017's time travel masterpiece Tunnel. I had no idea this K-drama would be so totally delightful and that I would wish there would be more by the end of the drama. I will definitely be watching this again, several times; it's a new favorite. Lee Yoo Young's character in that previous drama had been very serious and she aced it perfectly, so I was curious to see how she would do with another role: this one was the complete opposite, her character funny, impish, cute as a button. 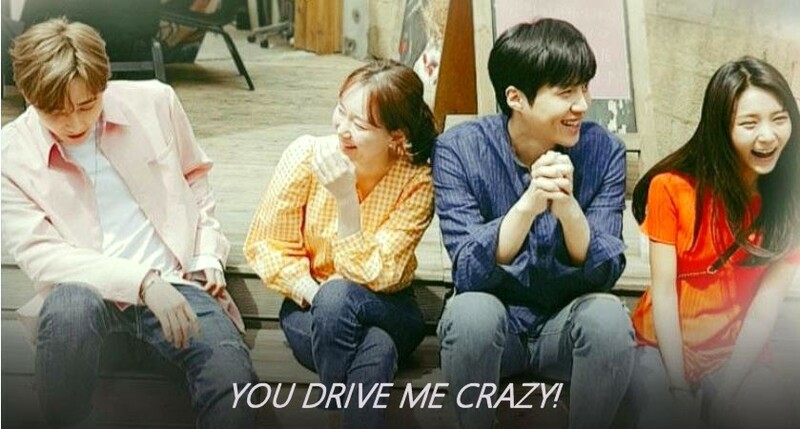 The chemistry between the two leads, Lee Yoo Young and actor Kim Sun Ho, was electric, from their first scene together to their last. They apparently even talked about that chemistry with reporters while promoting the show because it was that obvious and palatable. You cannot manufacture natural chemistry: it's either there (like with Choi Ji Woo and Bae Yong Joon in Winter Sonata) or it's not there, and then the actors rely on the director to show them how to create energy in their characters and on screen relationships. If that special chemistry is there even a drama filled with typical K-drama tropes can seem magical and different. Such was the case here with You Drive Me Crazy! Han Eun Sung (Lee Yoo Young) is a Korean to French interpreter / translator for international movie companies and she has had a long term friendship with a neighbor Kim Rae Wan (Kim Sun Ho) who is a professional painter and owns his own beautiful home which he inherited from his deceased parents. Only once in the past did their friendship get complicated a bit by a one night stand but they've still managed to keep their friendship going despite that impulsive night. Things get complicated again when Eun Sung's apartment suffers a big water pipe burst and she descends on Rae Wan's home for a few days while the apartment is fixed up again. 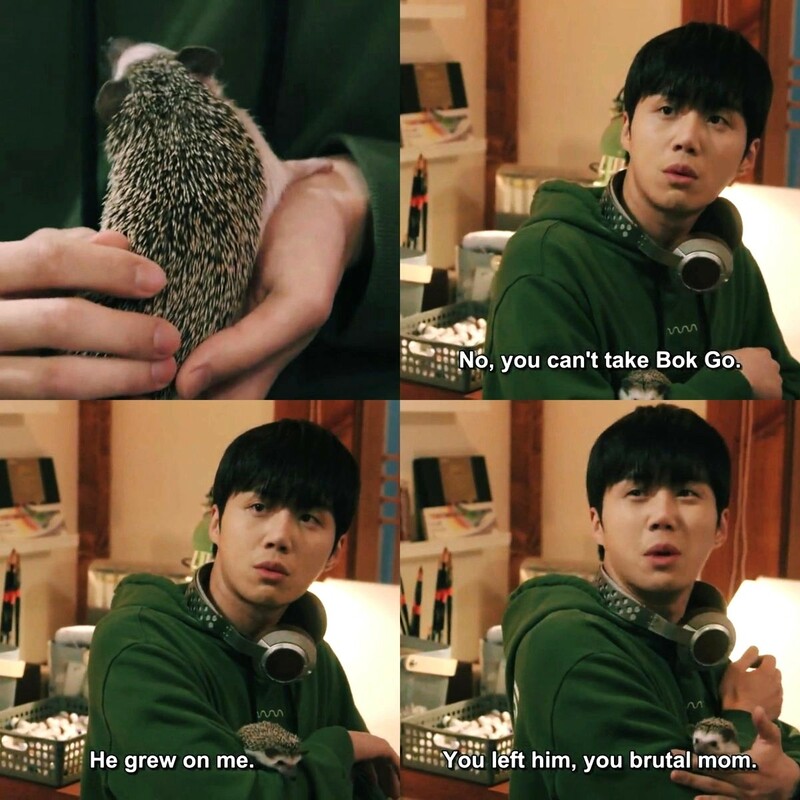 She brings with her her own little pet, a cute hedgehog named Bok Go. At first Rae Wan is scared of the little critter but soon he falls in love with him. Is that symbolic of how his relationship with Eun Sung will develop as well? At first Rae Wan doesn't seem to like being disturbed by this young lady whom he has mixed feelings for because of their previous one night stand, but as the days go by he finds himself falling in love with her for real, and becomes jealous when his own friend named Yoon Hee Nam (Sung Joo), a musician, seems to like her too and even writes a song for her. Meanwhile, Rae Wan has a waitress friend who likes him, too, named Moon Seo Jung (Kwon Doh Woon). Will she give up easily when she sees him falling for another girl? 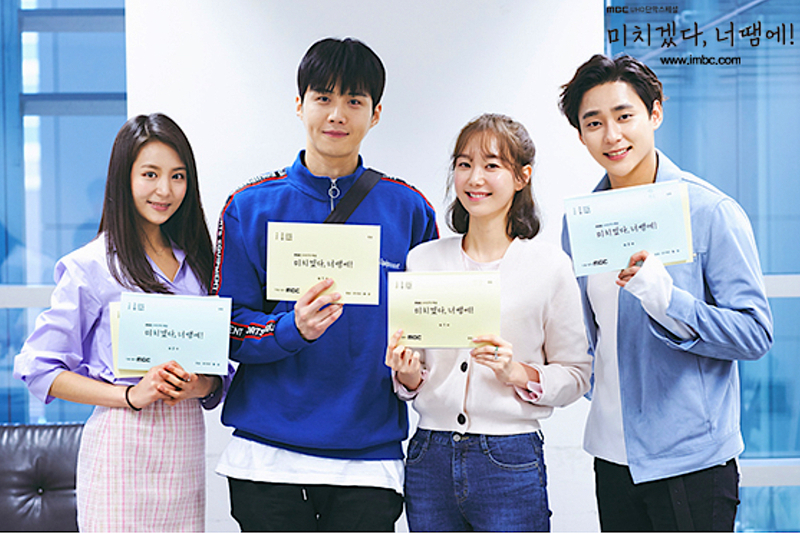 This is a typical K-drama quartet set up but here the four leads make it extra special by their humor and sweetness. No one is a bad person here out to hurt another. They all want what is best for one another long term. So naturally it falls on Rae Wan to come to terms with his real feelings for Eun Sung, express them, and then everything else will fall into place, correct? However, will his real feelings, when finally admitted, be reciprocated by the quirky Eun Sung? Definitely find a way to watch this short MBC drama, it is completely darling and adorable. Enjoy!